Join us for an evening of live entertainment and help make a local difference. Your support helps the Casey Cardinia Foundation reduce our community’s disadvantage, poverty, distress and growth challenges. 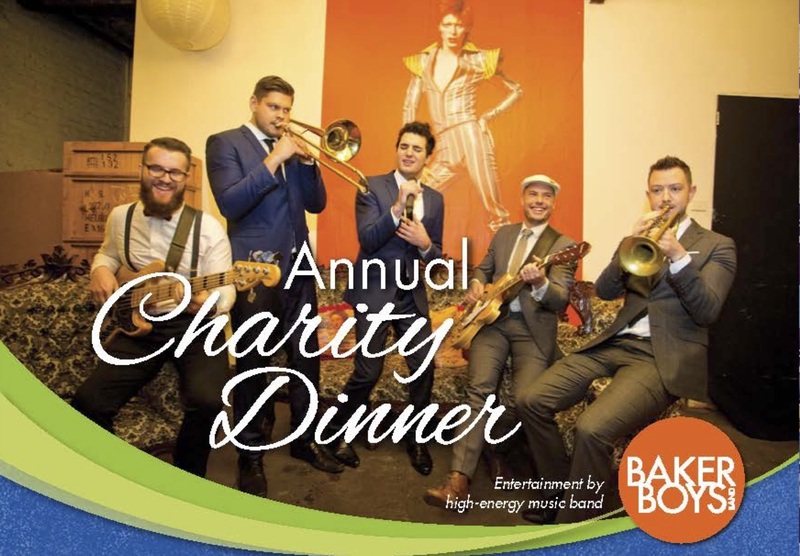 The Foundation is renowned for presenting a “not to be missed” program of entertainment since 2004, raising more than $550,000 for the local community, over $67,500 in 2017 alone. Our 2018 entertainment is the amazing ‘Baker Boys’ band. 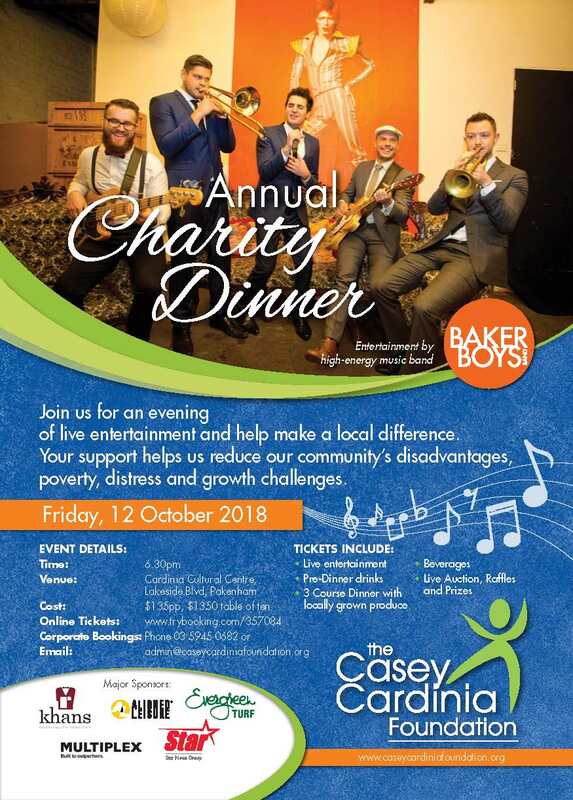 By attending the evening you will help The Casey Cardinia Foundation raise funds to support local community groups in the Casey Cardinia region, to make a real difference to the lives of many. The evening features something for everyone with an assortment of major auction items, plus a selection of silent auction and raffle prizes. All monetary donations over $2.00 are tax deductible. Should you require a Purchase Order, have a booking or auction enquiry, please contact admin@cardiniafoundation.com.au. Would you like to help spread the word? Download our poster here.